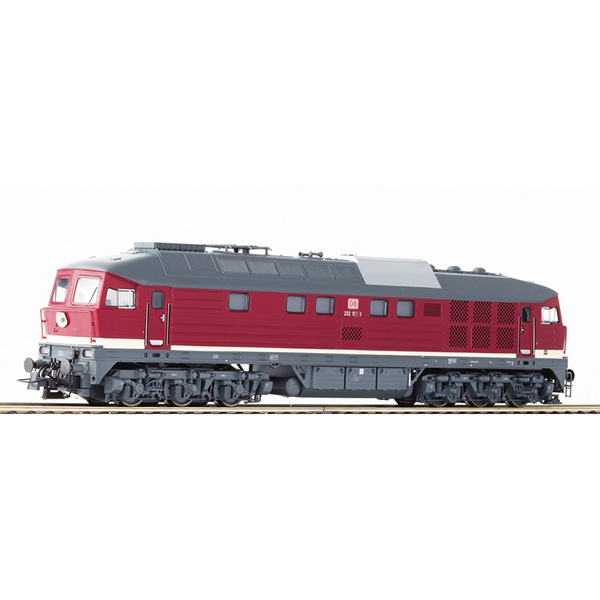 Model Description: Diesel locomotive series 232 of the Deutsche Bahn AG. Rich detailing on the model which is equipped with LED triple headlights and 2 red tail lights. Motor with flywheel. Drive on all six axles. Two axles with traction tyres. Interface according to PluX16 standards for the adaptation of a decoder. Coupler pocket according to NEM 362 standards.